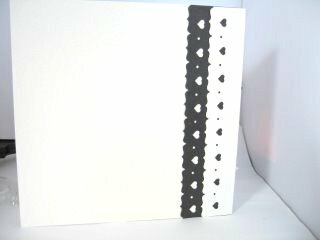 Although this video is using the Spellbinders that have been featured throughout the series you will still be able to create this project from the written instructions here for Big Cards. And in those insructions there isn't a Spellbinder in sight. But if you have Started Your Spellbinder Collection then this will show you how to use them again for a more detailed finish to these larger cards. The other videos in the series will also show you different designs that you can make all using the same set of dies. You don't even need to buy the larger cards to get started as this video will show you how to get the look from all the A4 card that you may have in your "Stash". I have even covered how to make the back of the card just as attractive as the front ... so that from whatever angle your design is viewed the recipient will not be disappointed. If you have watched the other videos in this series then you should be feeling pretty confident in how to get the most from the Spellbinders. 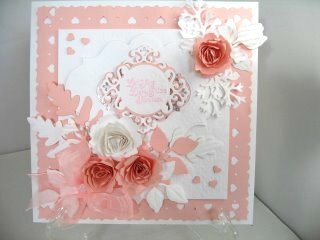 I know that you will love every card you make and will be so proud to show them off to family and friends. And don't forget to show them to us all as well as we would love you to add your cards to the Gallery. 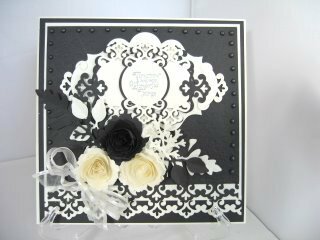 Just have the nerve to get started and then you will really enjoy your cardmaking creating Big Cards with Spellbinders. And to store the Spellbinders when you have finished creating just add them to some magnetic sheeting that you have cut to size and stapled inside the original package. That way you will always know where they are and if one is missing then instantly you can search for it. It is so easy to leave the smaller ones attached to your card, if you use the low tack tape ... and this will make you check properly.